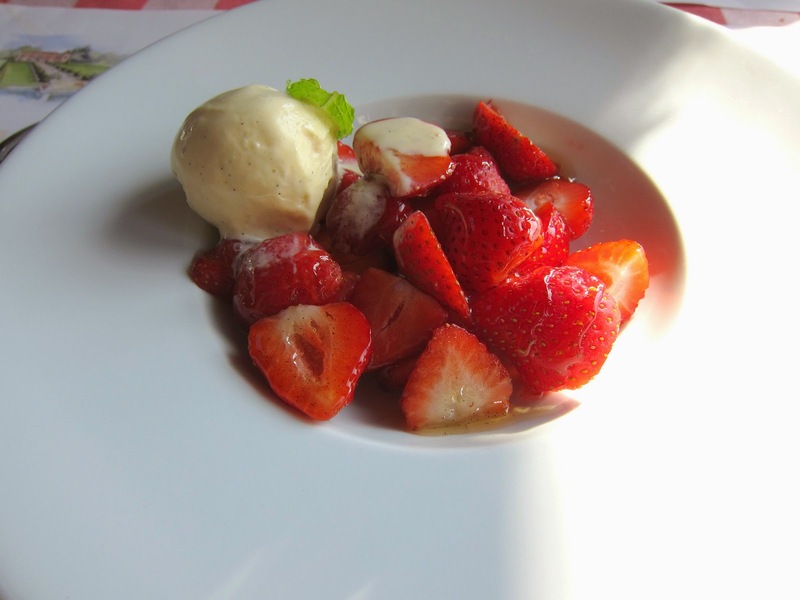 Bistrot L’Ancienne Auberge 1900 – Overworked. Underfed. After some heavy hitting (stomach and wallet wise), meals in France, it was nice to have something casual. 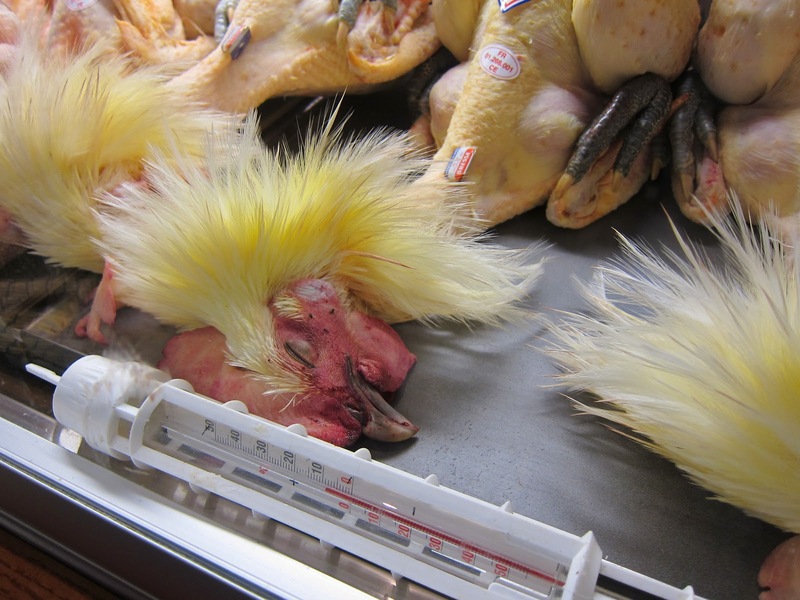 It seems like every country has their special prized chickens. Jidori chickens of Japan, and Bresse chickens of France, or “poulet de Bresse.” The high quality reputation of “poulet de Bresse” has been longstanding, maybe as far back as 1800s. 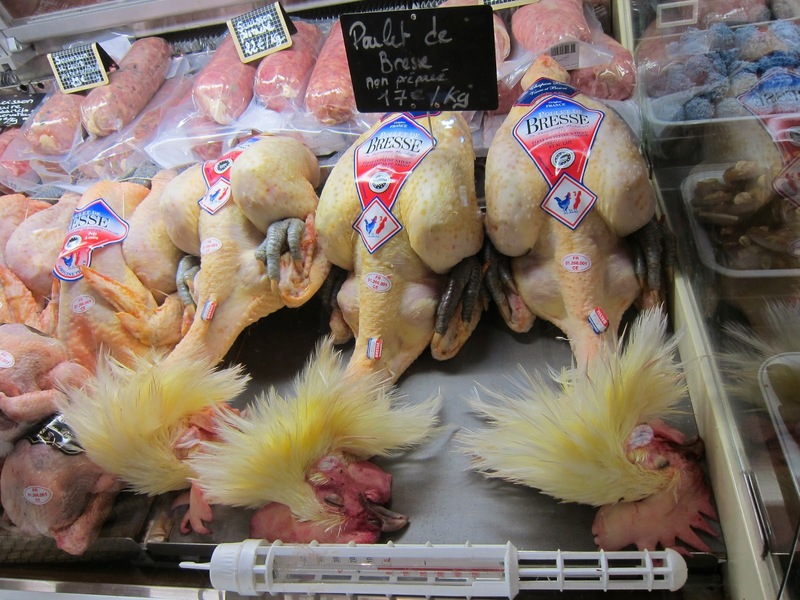 A chicken can only earn the labeling of “poulet de Bresse” if it is from the Bresse breed of chickens and if it has been bred in the Bresse region of eastern France. 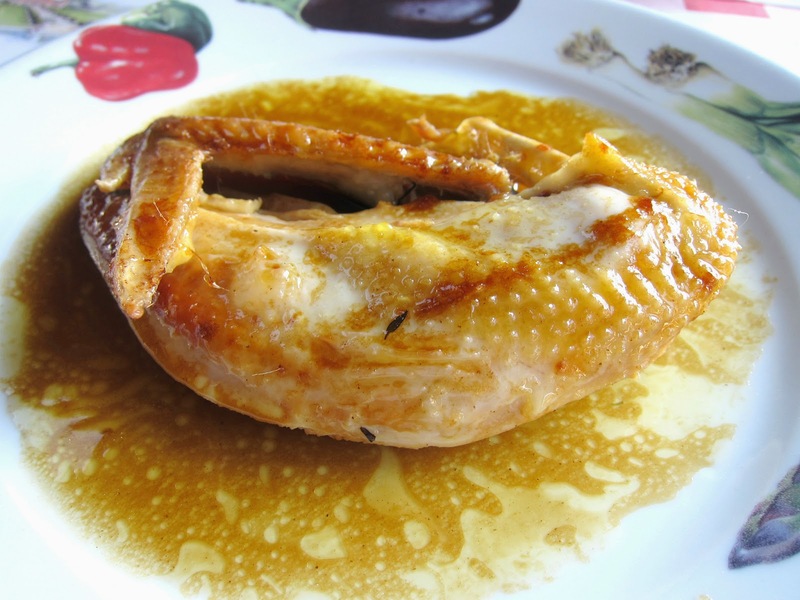 “Poulet de Bresse” is actually an AOC designation, similar to how a Bordeux wine can only be called Bordeux if it meets certain quality measures. Lucky for us, Vonnas, was sort of on the way back from the south of France back to Paris. We had really great whether on our vacation. The sun was shining, but it was RAINING foie gras. I loved the salty sweetness here. It tasted desserty but it had a familiar and savory essence. Yums! While this soup was probably the best cream of mushroom soup I have ever eaten, it was pretty damn salty. 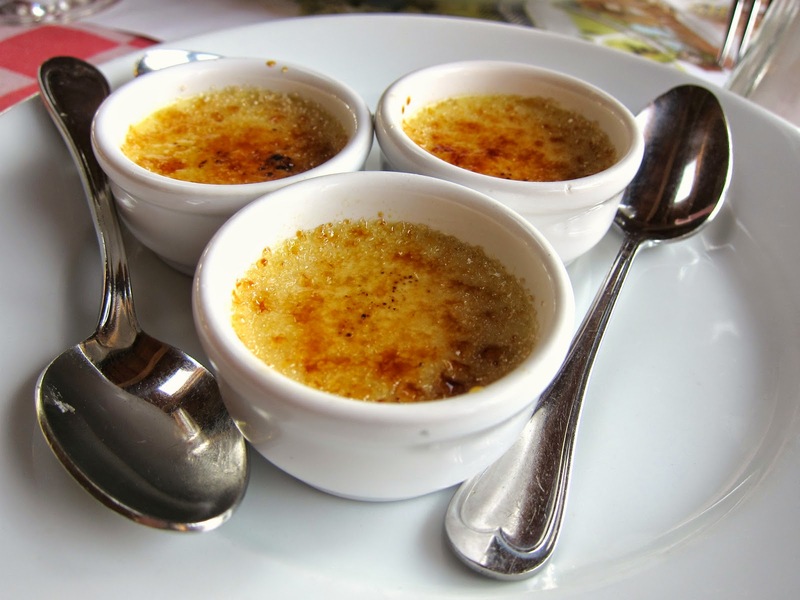 Generally speaking, the food in France was pretty “flavorful” and I suspect it’s because French food is meant to be enjoyed with wine, which would really cut through the salt and fat. 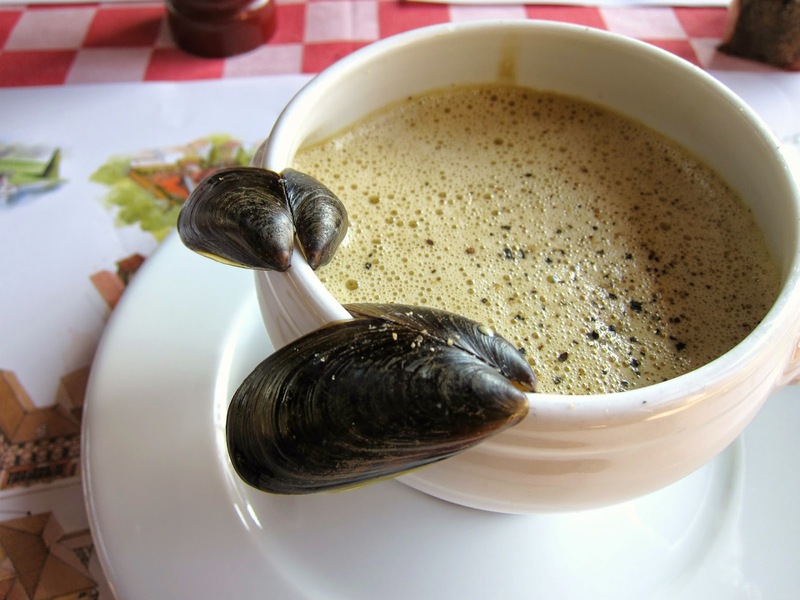 I suppose the shellfish broth and mussels is what made this mushroom soup stand out. The mussels were so small. I kept fishing for them and coming up empty handed but there ended up being quite a few hiding in that creamy umami elixir. 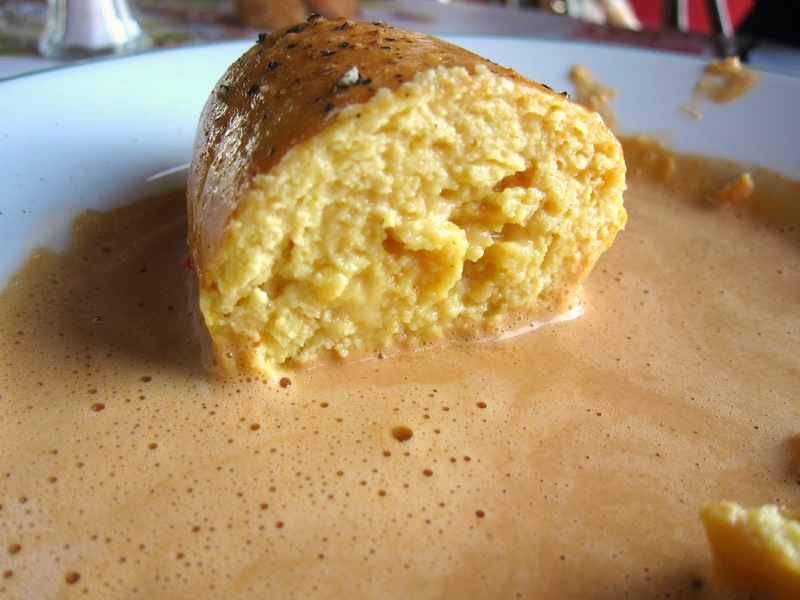 I chose quenelle over the other options for my second course because it was something new to me. I actually still didn’t quite get what it was by Parisian Friend’s description. I only knew it was going to be sausage shaped. Lobster was creamed with breadcrumbs and eggs to make this monstrosity. Not sure why they went so large here. It was actually kinda scary looking. 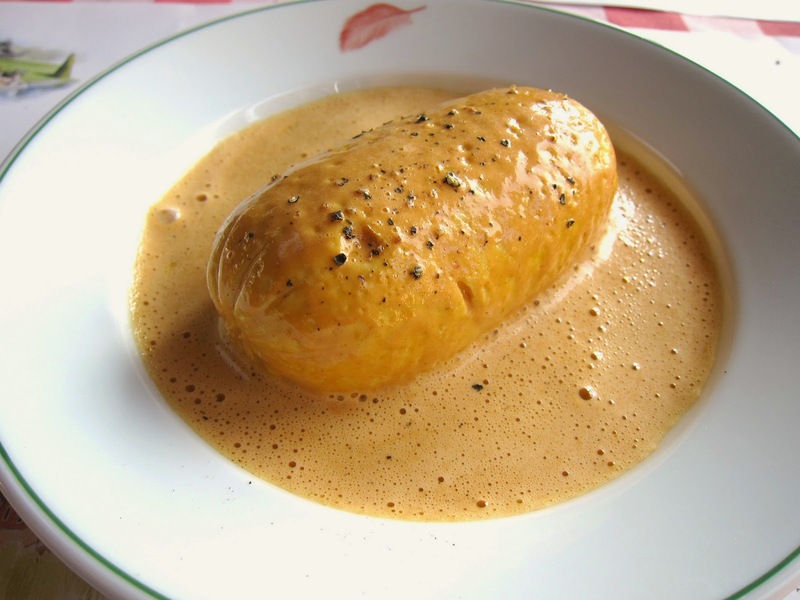 I actually didn’t like the texture of the quenelle itself. It was too eggy and I’m not a huge egg person. The sauce, of course, was spot on. Rich, deeply lobstery. So finally the poulet de Bresse. You have your choice of 2 preparations. Here it’s roasted and swimming in not too heavy cream sauce. 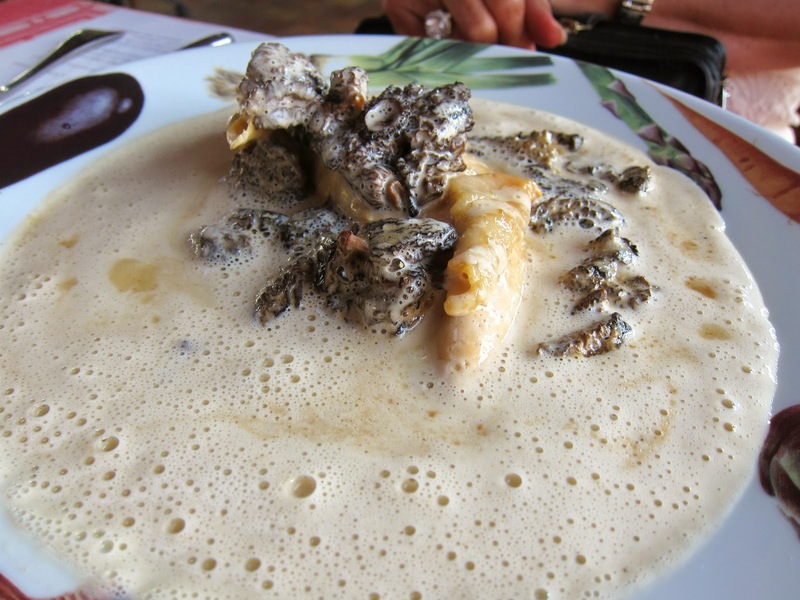 For an additional 8 euros, you can add morels. I thought it was interesting that basmati rice was served with the chicken. 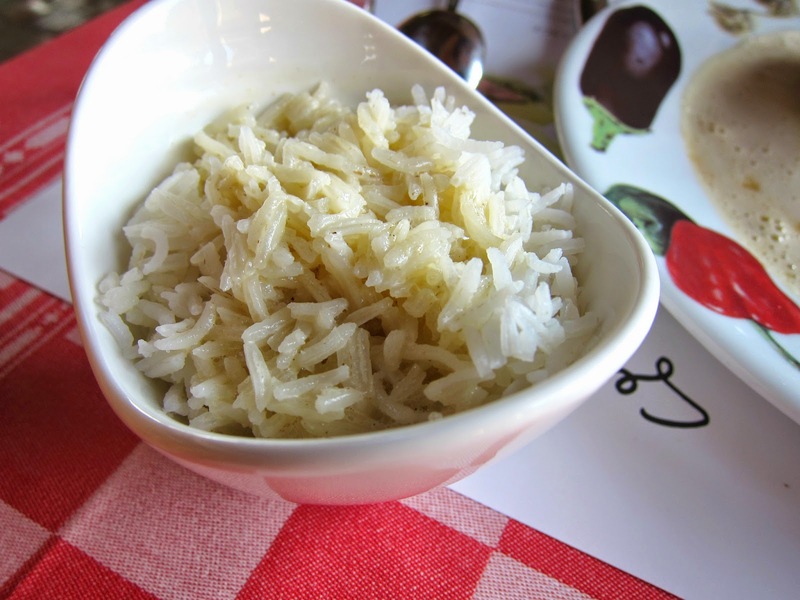 I associated basmati with Indian and Middle Eastern cuisine. I chose the rotisserie version. The chicken itself was pretty lean, so I didn’t feel guilty at all for eating the skin, which I will usually toss to the side. It definitely lacked the plumpness you get with good ol’ American Foster Farms chickens infused with all its hormones. It was pretty clean tasting. Other than that, it was still just chicken. 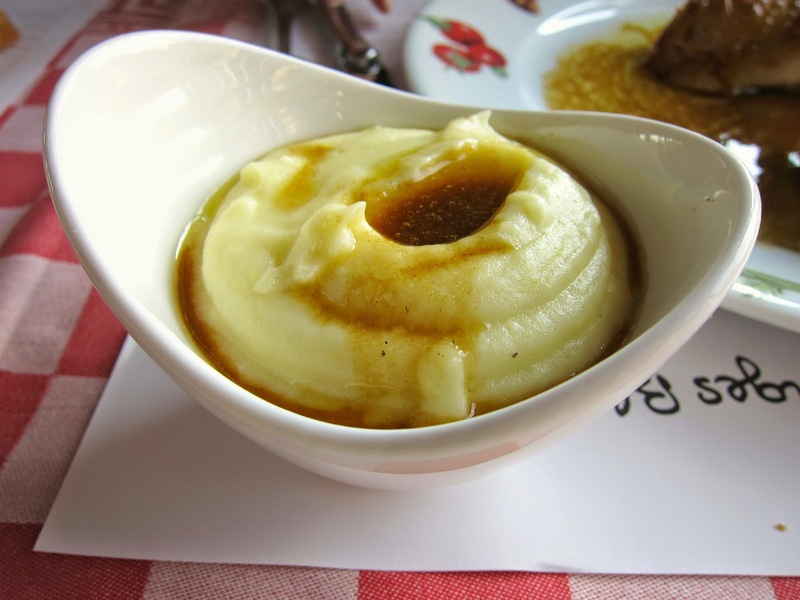 The potatoes were whipped to a perfect smoothness. However, there was something odd about it that made it taste sweet. Maybe it actually was sweetened, but I think there was some spice like nutmeg that accentuated some subtle sweetness. 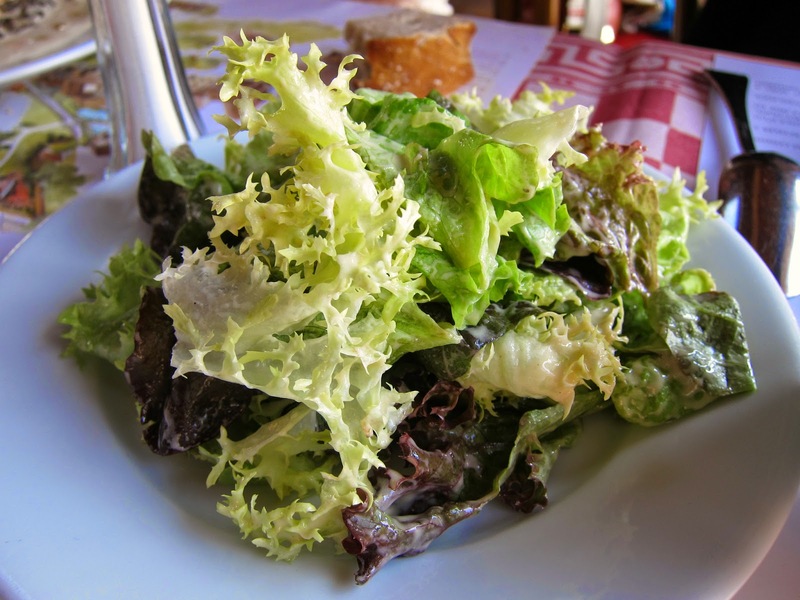 I have concluded the French do not eat vegetables. I do not count plain lettuce as a vegetable. Nothing special here. My menu came with cheese and dessert but I opted to get 2 desserts instead. I was really full and weighed down so I wanted to go with something light. 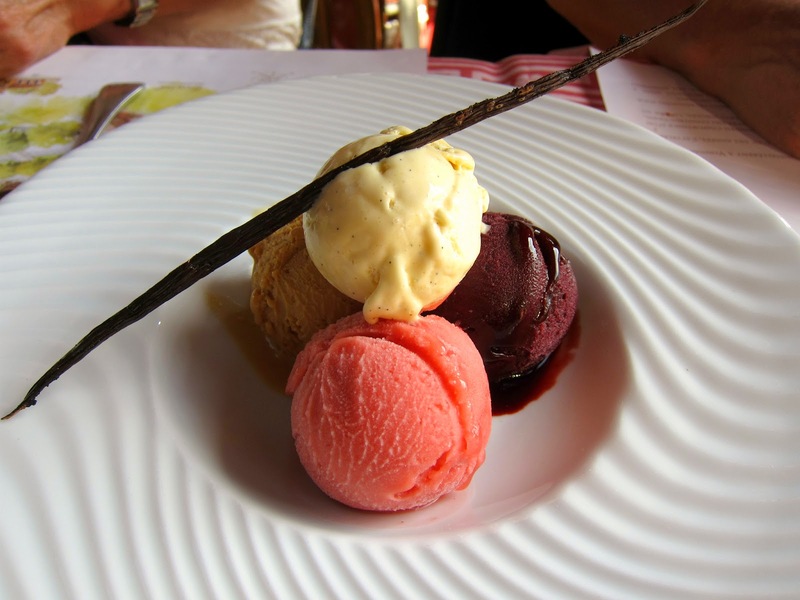 This was my mom’s choice, a selection of sorbets and ice creams. Not exactly the most seasonal thing to eat, but I was happy to have something a little healthy at this point. I can’t say I loved the honey really. I would have been fine with just the fruit and ice cream. Either way, it was a simple way to end. While my meal here was good overall, I can’t say I really appreciated the prized fame of the “poulet de Bresse.” I feel like I’ve had better meals with Jidori chicken. This place was quite the trek off the beaten path, but Vonnas turned out to be a really cute town. The town does have a 3 star Michelin restaurant, Georges Blanc. In fact, this chef pretty much owns the town with an area called “village gourmand” which includes these 2 restaurants, a hotel, spa, different kinds of shops, a patisserie, and a specialty food market where you can buy your own “poulet de Bresse” at over $40/lb. While I did not opt to take one home with me, these chickens did not die in vein. I was well fed, though maybe a bit under vegetabled. Thank you, dear chicken of Bresse.